At Northbridge, we are committed to resolving customer complaints quickly, efficiently and fairly. If you have a complaint about Northbridge or any of our member companies (which includes Northbridge General Insurance Corporation, Northbridge Indemnity Insurance Corporation, Federated Insurance Company of Canada and Zenith Insurance Company), there are steps you can take to have your concerns addressed. This procedure applies to all of the member companies of Northbridge Financial Corporation, which includes Northbridge General Insurance Corporation, Federated Insurance Company of Canada and Zenith Insurance Company (“Northbridge”). If you have a complaint or concern regarding Claims service provided by Northbridge, you are encouraged to contact the Claims Manager directly at the office where your Claim is being handled. The Claims Manager will be able to provide assistance and clarification to you. In the event that the issue has not been resolved to your satisfaction by the Manager, you can speak with the Customer Care Specialist or Regional Claims Lead at the office where your Claim is being handled. This individual specializes in assisting our Claimants through the Claims process. If the Northbridge Claims Department is unable to resolve your complaint or concern, you may contact Northbridge’s Office of the Ombudsman, which will review your complaint or concern to ensure it has been properly and fairly considered. The Ombudsman’s Office will acknowledge receipt of your complaint or concern within two business days, and provide you with a response immediately following the completion of its investigation. In Quebec, if you are not satisfied with the result of the examination of your complaint or with the examination itself, you may ask the Office of the Ombudsman to transfer your file to the Autorité des marches financiers (“AMF”). You may exercise this right only upon the expiry of the maximum time limit allowed for obtaining a final answer, but without exceeding a period of one year following receipt of this answer. The transferred file shall include all the documents regarding the complaint. The AMF examines all complaints received and may recommend mediation if deemed advisable and the parties agree. Please note that the AMF does not provide monetary compensation with respect to consumer claims (other than cases covered under its specific programs). Compliance with the rules governing the protection of personal information shall remain the responsibility of the Office of the Ombudsman. If you have a complaint or concern about a product or service provided by Northbridge, your first step should be to contact your independent insurance broker. Your representative is a licensed insurance professional who is in the position to provide you with independent insurance advice and is often able to provide clarification prior to elevating your concerns directly to Northbridge. If you know the name of the Northbridge representative, contact that person directly.  If you are uncertain who to contact, then your broker can provide you with general contact information for Northbridge. 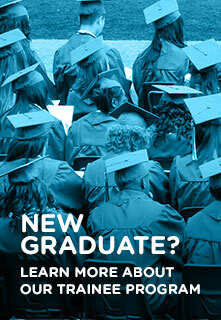 You may also find general contact information for Northbridge on this website under “Contact“. Please have your policy or claim number available and be prepared to provide details of your complaint or concern. The Northbridge representative will try to resolve the matter with you. If the Northbridge representative is unable to resolve your complaint or concern to your satisfaction, you may contact Northbridge’s Office of the Ombudsman, which will review your complaint or concern to ensure it has been properly and fairly considered.